Movement and breath have always been linked for me, however, post shoulder replacement surgery I have a new appreciation for the impact that breath has on movement. Yesterday in a yoga class we were exploring opening the pelvis and sacrum by rolling on small balls to work into the muscle and soft tissue in that area. 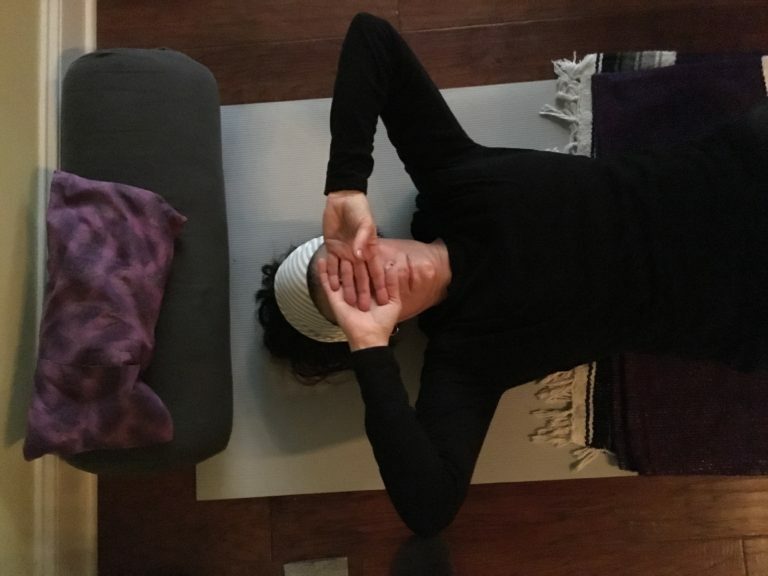 I started like everyone else in a sitting position and it was very intense, but as I was doing this I explored laying on my back and breathing into my whole body from the top of my head to my toes. Even though I was still VERY aware of the pressure of the ball under my low back and hip joint, doing this allowed me to relax a little into the pressure and release a little more. Today in physical therapy, laying on my back with the physical therapist stretching my new shoulder (with a lot of pressure), I was totally focused on that area and REALLY FEELING IT. Then I tried repositioning by stretching my legs and other arm out long and focused on breathing from the top of my head to my toes, really allowing myself to feel my breath in my back against the floor. 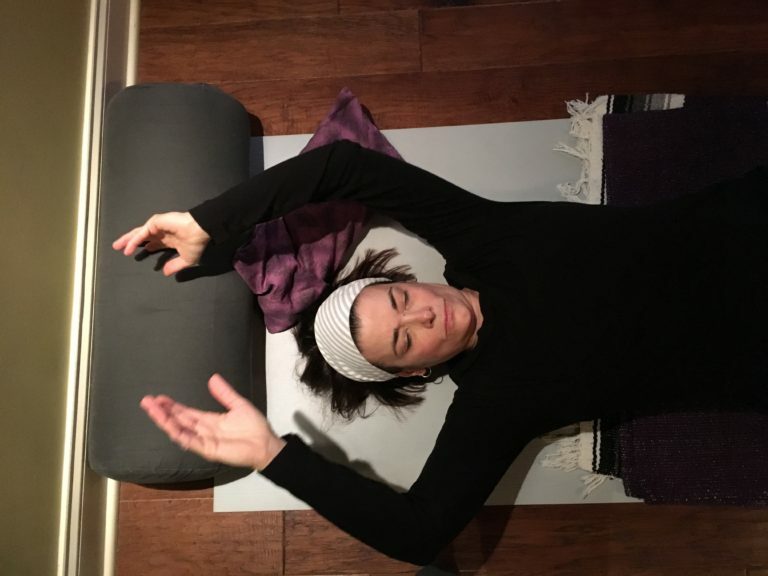 With my breath focused and spread out across my body, the discomfort in the shoulder being stretched felt spread out too, so the stretching was more effective. Laying on my back to stretch both shoulders with my hands folded over my face. Laying on my back, extending my legs, and extending both of my arms over my head to stretch my shoulder and open my pelvis. Laying on my back, stretching both arms above my head while focusing on my breath.